Moms love Bargains, Sales and Coupons so join us this Tuesday night as we chat about Simple Money Saving Solutions at 7pm PST/ 10pm EST OR 9pm PST / 12am EST at www.247moms.com and start saving money. Ready To Begin Our 28 Day Challenge? Several weeks ago I was thinking about how as moms we can often get overwhelmed with the long to do list and the many un-done projects in our mom world and I thought what if we as moms supported and challenged each other to accomplish one project each day big or small and together we began seeing our to do lists get checked off each day. So, tomorrow we begin checking off our 28 day project list one day at a time. Will you join us? I made my list and filled it with projects that I could accomplish in a few minutes and ones that might take me several hours to accomplish, I also had to come up with a weeks worth that I could accomplish while traveling this month. I have listed them below to help inspire you to create your own 28 day project list and join me tomorrow. Search online for Bedroom curtains. Ready to join in the CHALLENGE? Let's get started? Grab a notebook or sheet of paper and begin writing out 28 projects you would like to complete in February. You can either assign these to particular days in the month or each day choose a project that fits into your day from your list. My projects will include things such as cleaning out the kitchen drawers, taking a child's bike in for repairs to creating a new list of dinner ideas and even making Dad's Valentine gift this year. Let's get started making our lists and I'll check back in with you next week as we begin our 28 day project challenge on February 1st. MOM DEAL: $15 for $30 Worth of Personalized Books, Charts, Placemats, Lunch Boxes from Frecklebox . Click here My favorite is the clipboards for kids. Have a Super Bowl in your Crockpot! Here are a few dip recipe ideas for your super bowl party. Use a smaller crock pot for these recipes such as a 1 1/2 qt. or a 3 1/2 qt. crock pot. The dip can be served right in the crock pot to keep it warm. Combine ingredients in a lightly buttered 3 1/2 quart crock pot on high for about 1 hour. Serve with broken up French bread or wheat crackers. Put all the ingredients except bacon in a small crock pot and cook on low, stirring occasionally until cheese melts, about 1 hour. Taste and adjust seasonings, add bacon, and keep on low to serve. Cook the broccoli as per package instructions and drain. Put the cubes of cheese in a small crock pot and heat to melt. Mix soups, sour cream, broccoli and garlic salt into melted cheese. Serve as dip with tortilla chips. Cook hamburger in a skillet, drain well and place in a small crock pot. Add chili and cheese; cover and cook on low until cheese is melted, about 1 to 1 1/2 hours, stirring occasionally to blend ingredients. 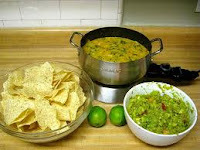 Serve warm with taco or tortilla chips. Cook ground beef in a skillet with chopped onion; drain well. Combine everything together in crock pot and cook slowly until cheese is melted. Serve with favorite vegetables or chips. This Valentines day start a new tradition of sending mail to family members through out the month. Provide each family member with their own Valentin mailbox that hangs on their dinner table chair and ask family members to write, color or create notes of encouragement during the days that lead up to Valentines day and place them in each persons mailbox. *1 backpack per kid (cotton material.. not poly)... got mine at Joann's... but many craft stores have them... could even try value village or good will. We are a popcorn loving family and this Valentine Confetti recipe looks not only yummy to eat but fun to give as gifts to family and friends. And to top it off it appears super simple to make with your kids as well...So ke ep it simple and make memories with your kids by creating a batch of Valentine confetti popcorn. 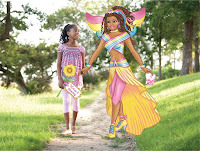 The Real Tooth Fairies world targets girls ages 5-10, and introduces them to the glowing magical realm, Real Fairyland. At last, Earthies of all ages find the answers to questions they’ve had: “Who is the tooth fairy? Where does she take my teeth? Where does she live?” Real Fairyland, which the kids explore on the interactive and personalized website, is a rich world, including a diverse cast of characters, exciting settings (from the Jewel Garden to the Royal Castle to Real Furryland), loads of interactive play, and an ecommerce site. Girls go online to Magic Message their Real Tooth Fairy anytime with their latest achievement or news, and the Real Tooth Fairy can deliver a Magic Letter straight to the child’s pillow – personalized to the news she shared in her Magic Message! Earthie Girls also appear on the site, sharing their experiences with their Real Tooth Fairies, dancing in music videos, and showing how it all works – like making your own Real Dream Tree that grows in the Tower of Dreams. Earthies send in their own videos, photos of their kindnesses, and lost tooth stories -- so girls share with each other. This brand has a strong focus on positive values and character-building. Not only are the Real Tooth Fairies admirable role models, as they emphasize goal-setting, education, and believing in your dreams, the website also features a kindness program, Every Kindness Counts, that encourages children to perform acts of kindness in their daily life. This program includes an incentive system of picking Kindness Tickets to do, then completing Kindness tickets and moving up the Kindness levels. This is easily tracked for each child as they move up the levels on the website, earning Award Ribbons and Kindness Charms. Every Earthie act of kindness raises the Earth’s Glow Score for the day! The 20 Lost Tooth Virtues – one for each lost tooth, add to the pro-social elements of the site. Fairy-themed products are available for purchase to bring the magic home for girls. Each item comes from a different shop on Magic Street in Real Fairyland. Products include an award-winning book series, Kindness Kits tied to the online Kindness activities, Fairy room décor, lost tooth surprises, personalized Magic Letters from the Real Tooth Fairy (with parental permission of course) and so much more. The site has a unique Parents Only Zone, filled with ideas and fun for parents of tooth-losing girls. The Real Tooth Fairies world is targeted to girls, but a boy’s website is in development, by an affiliated entity, Bollinger Associates, that features the Time Travel Elffs, action heroes who protect Earth history from Gloom shadows. They join the Real Tooth Fairies to deliver action for boys. More Real Tooth Fairy books, dolls, & more are in the works. WIN: 24/7 MOMS and The Real Tooth Fairies are giving away a Real Tooth Fairies Gift Basket. US entries only and one entry per person. Winner will be chosen on February 12, 2011. **We received a complimentary The Real Tooth Fairies products for review no financial compensation was received. Q: What animal are you most like? Why? Q: What did the boy snake say to the girl snake on Valentine's Day? A: Give me a hug and a hiss, honey. Start with invites. Usually you are emailing people or calling them. Letting them know what to bring and what time to come over. Plan this out in advance. You figure out what YOU want to make first then send an email out with the other items you need. That way you don't have everyone bringing the same thing. Try to leave some easy stuff for the men to bring. They usually like to just bring something they can pick up at the grocery store already made. Have a beverage area. Isn't it wonderful when you go to someone else's home and you don't have to ask for anything. You want your guest to feel comfortable right? 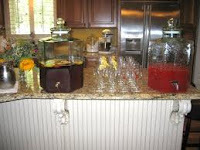 Set up mulitple drinks for your guest to choose from. Always make sure you have water and kid friendly drinks (if kids will be there). If you are rooting for a team to win... perhaps decorate using that teams colors. Or if undecided you can use both teams combined. Here are some ideas to have a festive Super Bowl party!! Have a small table set up lots of different candies. 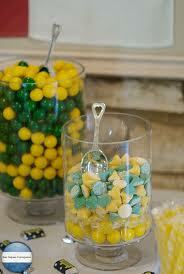 Use the team colors to help you out and place the candies in various sized glass bowls, vases and dishes. These can be used to decorate and fun for kids to play with. You can hang them from the ceiling and lay them around the room. Make them in the team colors that you wish. Click here for how-to. Go to your local Home Store and you can purchase Turf off of a bolt to what size you need. Use this as a table runner or table cloth. You can even add some decorative look to it by adding some colored Duck Tape to make it look like a field with lines. Later you can put this in your kids rooms or play room if they are a foot ball fan. Keep everyone involved. If there are people there that aren't really into football this will get them involved and make it more fun for them. Also sets the house with a little bit of friendly competition. Click here for game ideas. Make some labels and put on your Water bottles, Cup cake wrappers, Food labels, Name tags, Decorate straws, etc... Click here for FREE football printables! You can also make your own in a word document and print them out. You can have a lot of fun decorating with labels. Your guests will be amazed! 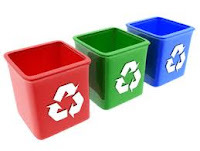 Have all your garbage cans/recycle cans labeled and out by where all the action is. So your guests don't have to go far to throw stuff away. Have fun at your party! Parties are supposed to relaxing and a time to spend with friends and family. The more you get done before hand the more relaxed you will be.... and your guests! 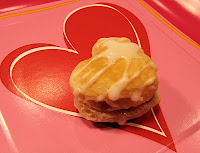 We featured these Puffy Puff Pastry hearts on the recent 24/7 MOMS Valentines Webcast And not only were these simple to make but they are yummy to eat. We originally found this great recipe over at Explore, Dream, Discover. Click here to get the complete how to instructions. The family love challenge is a 14 day challenge for families to move towards love. Whether your family is hanging on for dear life or going full speed straight ahead, The Family Love Challenge is an adventure you can take as you count down the days till Valentine's Day in your home. Today and the rest of this month challenge each other to say nothing negative to one another. Do something special for someone today! Be considerate to your family members as you are to strangers, co-workers and classmates. Using words such as please, thank you and excuse me. In a notebook create a page for each family member; have each member write something about that person. Then read them aloud for all to hear! Become your family member’s biggest fan! Make an extra effort at welcoming each member home and send each member going away with hugs & kisses. Day 7: A family that prays together stays together. If you do not already, start making it a daily occurrence to have the entire family come together hand in hand to pray. Day 8: May I Help you? Offer others in your home your assistance. Do you often hear the word what in your household. Let's take time to intentionally listen to one another today and see if we can hear that word a little less. Day 10: No, you first Arguing who gets to go first? Today allow the other person to go first. Take turns allowing the other person to do something before you for a change. Confrontation happens, make it an effort today to learn how to effectively deal with conflict and learning to resolve issues quickly. Day 12: Make it a date night! Do something as a family that everyone can participate in. Have fun with one another, make sure before you are though that you plan to do it again sometime soon. Commit to completing a bible study as a family. Make it a habit to read the bible everyday as a family or individually. Creating this habit with your children will last a lifetime and change generations to come! These individual tasks can be completed in any order from February 1st to the 14th. Just place them on your calendar that works best for you and your family. It's SOUPER Sunday and this week one of our 24/7 MOMS sent us her favorite soup to make. Do you have a favorite soup you make? Heat olive oil in large 6 qt. saucepot. Add diced onion and crushed garlic. Cook until onion becomes clear, browned, and bottom of pan begins to glaze. Add water and bullion. Deglaze the pan, scraping the caramelization from the base of the pot. Add carrots and oregano. Cook until carrots are tender, about 15-20 minutes. Add frozen tortellini and cook on medium for another 5-7 minutes, or as indicated on package. Finalize with chopped spinach, bring to boil one last time. Optionally, top with mozzarella, Provolone or other Italian cheese. ENJOY! Q: What do you do more often: hum or whistle? Hum or whistle your answer. Q: What did the elephant say to his Valentine? Being the tradition junkie that I am, it was not surprising when my third born child Savannah said to me " Mom, I think that as soon as one holiday is over you begin thinking and planning new ideas to celebrate the next holiday". She is right , I do. I am a firm believer in making every moment count as a mom . Celebrating with my family is just one more way to do that. So, ready or not the next holiday is about to arrive Valentines Day and here are my 21 FUN celebration ideas for families. Teaching my children to love, respect, honor and admire their siblings is one of those top mommy things I strive to do. One way I encourage this in my Children’s relationships with one another is that each year during the month of February I cut out big pink and red hearts from construction/craft paper. I then write on each heart with a marker “ I Love You Because ___________.” I cut out enough hearts for each child to write a note for each member of the family on. They are given these hearts a few days prior to Valentines day to fill out with their amazing kind words (hopefully), and then during our family Valentine's celebration we share these with one another. Purchase a box of inexpensive classmate exchange Valentine cards and get ready to attack. 1. On the night of February 13th sneak out to your husband's car and place these Valentine cards all over the interior of his car. You may want to use tape to secure them. Won’t he be surprised to find his car has been attacked with Valentine cards. 2. After your children have fallen asleep on February 13th sneak into their bedrooms and/or bathrooms and place Valentine cards all over these rooms. What a surprise when they wake up to a Heart Attacked room filled with Valentines. 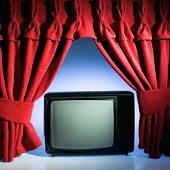 An in-expensive and simple way to celebrate Valentines day with your family is to create a fun movie night by watching a Love themed movie such as Lady and the Tramp, The Princess Bride, Cinderella, Parent Trap, Beauty and the Beast, you get the idea fun and romantic family style that is. Pop some pop corn, bake a batch of cookies, grab some red licorice and don’t forget the beverages for those thirsty pop corn eaters. Snuggle up and enjoy your Movie Night. Everyone loves a treasure hunt. 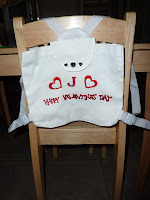 So, each valentines day I create a valentine treasure hunt for my family by hiding their Valentine baskets of goodies. I place written clues around the house in which they work as a team to discover where their hidden Valentine treasure is. We begin the hunt by giving them their first clue at the dinner table after we have eaten our meal and off they go to discover their Valentine treasure. My kids are already talking about the big hunt coming up on February 14th. Conversation Heart hunt: Place conversation hearts around your home and send your kids to find them.Candy Kiss trail - make a trial using candy kisses that lead to a Valentine. Surprise Heart Hunt - Fill plastic hearts with goodies and hide them similar to an Easter egg hunt. Grab a tube of lipstick or window markers and head to the bathroom mirrors in your home. Write messages to your family members so when they awake they will be surprised with your words of love. You can also write on your husband and teenagers car windows. One word of caution be careful of what you write as your words may possibly be traveling through town that day. Serve a variety of Hot Chocolate flavors that are instant such as those from land O lakes. Then have a variety of toppings and stirrers for a do it your self Hot Cocoa experience. Keep your Valentines celebration going all year long by creating a 365 days of Valentines jar. 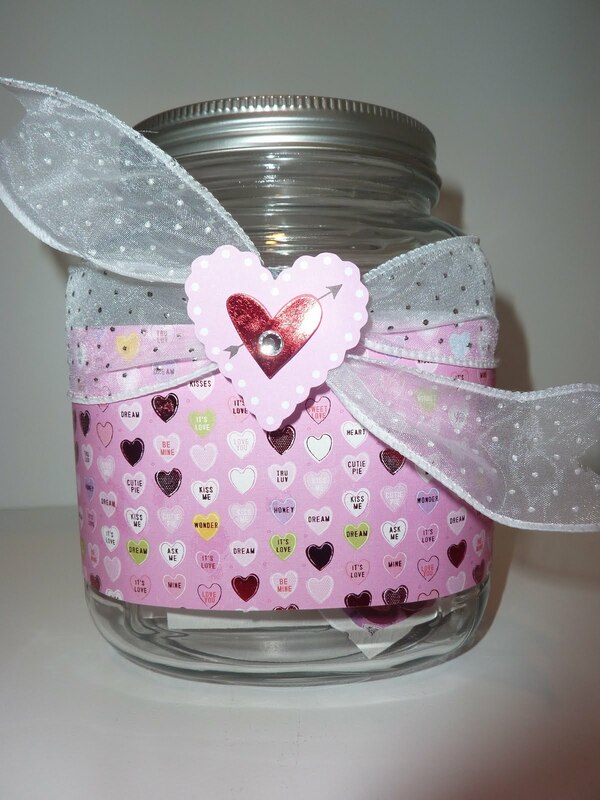 Decorate a jar and cut out 365 heart shaped papers. Write on each heart a word of encouragement , love note, a thank you, a scripture verse, an inspiring quote, or even good for 1 desert, good for 1 movie night etc. Place them in the jar and the receiver of the jar gets to read a note each day. This also makes a great dinner time conversation starter if you include fun questions on your 365 cut out hearts. Collect 14 new books or unread books that have been sitting on your children’s book shelves and wrap each on up individually. Garage sales, Goodwill and Thrift stores are also great places to pick up inexpensive books. Create a festive Valentine's table to celebrate this day of love with your family. On Valentine's Day decorate your table with a red or pink tablecloth decorated with Valentine themed items, candles, rose petal confetti, flowers, Valentine plates, and don’t forget the Valentine napkins. Then, serve a special meal with several red and pink food items such as red jell-o, pink mashed potatoes, red pasta sauce, a heart shaped pizza, etc. For fun drinks try strawberry milk or Shirley Temples to drink. For breakfast try pink heart pancakes, pink grapefruit, fresh red strawberries, pink yogurt, pink smoothies, etc. And, of course, don’t forget a Valentine dessert like a heart shaped brownie, pink frosted cupcakes or yummy strawberry shortcake. 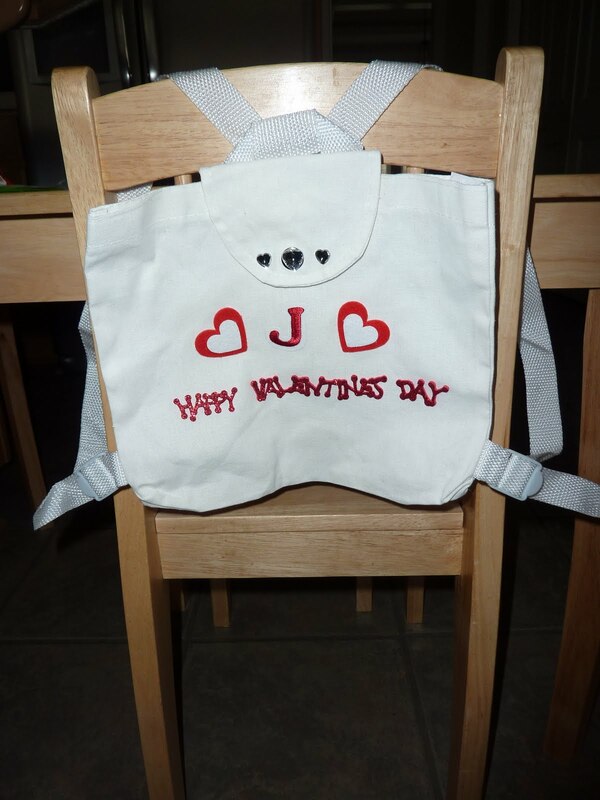 Another fun addition to your table can be placing simple gifts at each seat - Valentine chocolates or other fun treats. Plan a "Sweet Swap!" Similar to a cookie exchange, invite friends over and ask them to bring a plate of goodies (homemade or store bought). Watch a Chick flick or just have fun girl chat. Serve appetizers. At the end of your time together set out everyone's goodies and go down the "buffet," packing up sweets to take home. Everyone goes home with cookies, brownies, and candy. Kids love games. So, why not include a Valentine themed game into your celebration this year. Bingo it’s Valentine day! 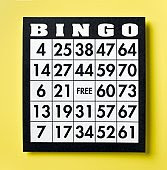 - Play bingo using conversation hearts as your bingo markers. 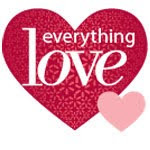 Give each bingo winner a valenine gift of chocolate, heart items, red or pink colored items. Create the game to be a Valentine theme. Count down the days until Valentines day by having your kids do various activities each day beginning February 1st - 14th. 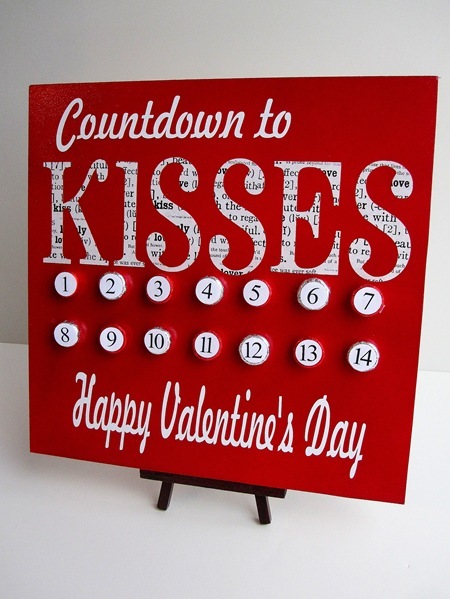 Click here for our list of Valentines Countdown activities. Click here for simple DIY advent calenders you can create. Love on your neighbors this Valentines day with a childhood game of ding dong doorbell ditch. Deliver Bags filled with Hershey's hugs and kisses with a note that says "You've been Hugged and Kissed " Or Deliver Cans of Soda pop labeled " We are SODA glad you are our Neighbors"
Kids love getting a basket filled with goodies on Valentine’s Day, just like they do on Easter. Purchase heart shaped baskets at your local dollar store or drugstore. Then fill with treats such as candy, small toys, schoool supplies, beauty products, socks etc. I Use the 12 days of Christmas as our theme and begin our official countdown on February 3rd with simple treats, activities, gifts, notes and fun. Each day I will create a card that has the following opening statement on it. "On the (number) day of Valentines day ............................."
7. Serve ONE pear ( goes with 12 days of Christmas song) or give ONE pear scented lotion, bath product. Mail Valentine s Day cards to each of your children . Telling them positive encouragements, how much you love them. Etc. Maybe even include a gift card. This is also a great tradition with college age kids who are away at school. A few years ago we began in the Novotny home the tradition of having a chocolate fondue for our Valentines Celebration dessert . Yes, I am training my kids to be chocoholics like their mother, more excuses to feed my addiction. So, pull out that buried fondue pot you received as a wedding gift or purchase an in-expensive one at your local variety store (a well worth purchase) and get ready to create a YUMMY Valentine dessert for your family. Step 1 - Decide what you will use for your chocolate dipping sauce. I use Sephra chocolate which I purchase online at http://www.sephrafountains.com/. You can also use a variety of different recipes ( see below) or buy the already packaged chocolate dipping sauce, usually found in your chocolate baking section of the grocery store. Step 2 - Choose your items for dipping. We use a mix of fruits and sweets from the list I have listed out here. Fruits- Strawberries, Sliced bananas, apples, pears, dried fruit, pineapple, raspberries. Cakes, Cookies and sweets - Marshmallows, pound cake in cubes, bite sized brownies, lady fingers, graham crackers, vanilla wafers, angel food cake, spritz cookies, biscotti. Step 3 - Gather needed serving items: Dipping sticks ( bamboo kabob stick work great), bowls for the various dipping items, plates for each person and lots of napkins. A Tradition your entire family will enjoy this Valentines day. Countdown the days till Valentines day with daily Bible scripture verse on LOVE.. Type them up and place each one in a Countdown calendar, in little bags, boxes or seperat eenvelopes for your kids to open each night at dinner time. Papa Murphy’s creates heart shaped pizzas on Valentines day (order ahead). Do secret acts of kindness to one family - On February 1st have place all family members name in a hat have each family members draw one name . The name they choose is who they will do secret acts of Lovliness for during the 2 weeks leading up to Valentines day. Such as do a chore for that person, leave a note, give them a small gift or treat they have made. During you family valentines Day celebration reveal to each other who you have been showering with lovliness. What are your family Valentines Day celebrations? Count down the days until Valentines day with one of these fun DIY advent ideas and if you are in need of Countdown activity ideas click here for our complete list of fun ideas. 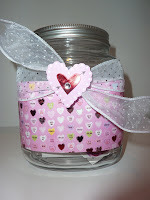 Countdown Jars - Purchase a clear jar at your local big box store or thrift store and use scrap paper and ribbon to decorate it with a Valentines day theme. Use slips of colored or white paper to write out various activities to do and place in the jar allowing your kids to choose one out each day. note: to control which activities you do each day, replace the activity wit a number then create list of activities that you can tell you children which activity that number is for the day in other words the numbers really have nothing to do wit it just give your kids a feeling of fun that they are doing activity #___ which means ice skating or baking cookies or making cards etc. Countdown Bags - Purchase mini lunch bags or even use regular size lunch bags and number each one with the numbers 1-14. Then write different activities to do on slips pf paper and place them inside the paper sacks sealing them to be opened on the right count down day. DIY Advent countdown from Canvas home basics - . Click here for complete instructions. 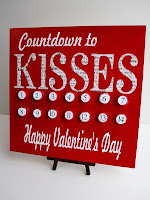 Countdown to Kisses from Infarrantly Creative. Click here for complete how to instructions. Need a list of countdown ideas Click here for a fun list of activities.